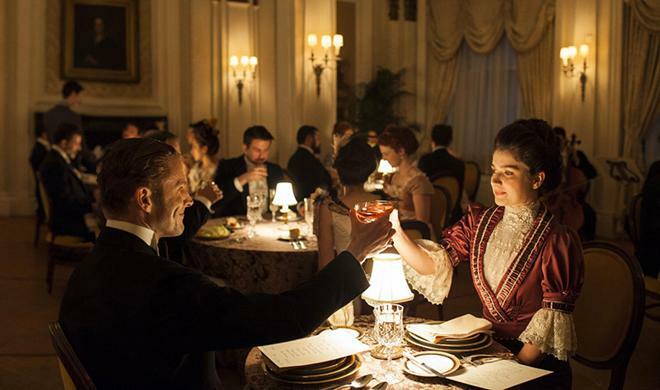 Special Features: "The Knick Under Construction" – go on an exclusive walking tour of the most notable sets from The Knick with the man who envisioned them, Production Designer Howard Cummings. See the amazing detail that went into the creation of the Surgical Theater, Men's Ward, and the brand new Mt Sinai Operating theater. "Invitation to the Ball" – an extensive look at how director Steven Soderbergh and show creators Jack Amiel & Michael Begler went about creating the extravagant charity ball featured in Episode 7, from Steven's amazing long single tracking shot through the ball to the research that went into creating these memorable scenes in the series. "Inside the Body Shop" – four in-depth looks at the show's medical procedures including the eye-opening ocular surgical sequence, a bloody leg abscess, a brain surgery and a guts-and-all analysis of a heroin addicts autopsy. "Behind the Scenes" – five vignettes with cast and crew discussing the season's plotlines including eugenics, feminism, addiction, race relations and corruption. "Post-Ops" – ten inside the episode recaps. Just a pile of flesh and bones -- is that really all a human being is? Or are we more than that? Something beyond mere blood and guts and synapses. Probing deep into the pioneering spirit of scientific and social progress, 'The Knick: The Complete Second Season' places equal emphasis on the physical and emotional machinations of the human condition. Through a singular cinematic vision, the series continues to dissect the biological maladies and moral deficiencies that plague our hearts and minds. Picking up where the previous season left off, 'The Knick' focuses on New York's Knickerbocker hospital in 1901 as the doctors and staff prepare to relocate to a new facility under construction uptown. When Dr. Thackery (Clive Owen) returns from a failed stay in rehab, he turns his attention to studying the causes and possible solutions for drug addiction. Meanwhile, Dr. Edwards (Andre Holland) struggles to deal with an eye injury that may cost the surgeon his vision, Dr. Chickering (Michael Angarano) transfers to another hospital, and Nurse Elkins (Eve Hewson) attempts to turn the tables on the controlling men in her life. Facing mounting obstacles, the characters continue to push toward social and scientific progress -- even as corrupt powers continue to push back. Expanding upon many of the same themes addressed in season one, the series uses its early 20th century setting to draw surprisingly timely parallels to many 21st century issues, fully examining the cyclical ebb and flow of social change. Concepts related to race, gender, and class are all tightly embedded into the narrative's DNA, weaving several engaging story arcs tied to evolving perspectives on addiction, eugenics, feminism, mental health, and contraception. Of course, the story is still home to a large emphasis on surgical innovation, using growing advancements in medicine to contrast against the show's slowly burgeoning societal developments. Highlights throughout these ten episodes include an open brain examination, an operation to separate conjoined twins, and the season's climactic self-surgery. To this end, the production's disturbingly accurate practical effects, makeup, and prosthetics continue to help create some startlingly realistic depictions of surgery on screen -- making it hard to believe that no one was actually cut open during the shoot. And to maintain the cinematic precision established in season one, director Steven Soderbergh returns to helm all ten installments in season two. Subtly tinkering with the aesthetic he developed last year, Soderbergh employs many similar techniques, creating a highly economical and efficient shooting style marked by extended takes, natural/practical lighting, and wide angles. Often focusing only on the most important aspects of any given scene, many sequences forgo typical coverage and reactions in favor of staying fixated on specific characters and images -- like an extended POV shot of Nurse Elkins during one pivotal scene or a close-up of hands counting money in another. Likewise, several long takes with reframing camera movements help to enhance the urgency of time -- like when a subway explosion brings in a stream of unexpected patients. An extravagant ball also leads to one of the season's most notable extended shots, moving from character to character throughout the large space in one take, allowing the scene to play on organically without interruptions. With that said, as potent as Soderbergh's style can be, the visuals here end up lacking some of the bold experimentation that made the show such a standout in season one. Similarly, the narrative also suffers slightly in comparison to what came before, offering a few minor missteps. With its repeated themes, some aspects of the story can feel a tad redundant and the heavier emphasis on internal conflict lacks some of the outward excitement that fueled some of season one's bigger moments. Several characters are developed further, revealing more heavy flaws lurking just beneath the surface, and while these characters' occasionally disturbing choices do lead to interesting drama, some of their behavior makes it hard to remain sympathetic to their stories. Likewise, one major twist is rather predictable, lessening the impact of a few scenes in the finale while turning one previously layered character into a genuine villain. Indeed, by the time the season ends, the number of likeable or even tolerable protagonists has dwindled considerably. This darker tone is intentional, however, revealing the full extent of society's unsettling corruption -- a disease which sadly has no definitive cure. Focused on the inspirational ingenuity of scientific discovery, and the tragically slow yet still steadfast resolve of social change, 'The Knick' offers another gripping and cinematically rich season of television. With its game-changing finale, the writers bring upon a clear end to this phase of the show's overall arc, and though a third season is not guaranteed (so far Cinemax has just ordered a script and season outline), the filmmakers have definitely left ample room for more stories to be told -- and more bodies to be cut open. HBO brings 'The Knick: The Complete Second Season' to Blu-ray on four BD-50 discs that come housed in a keepcase with a cardboard slipcase. Instructions for an UltraViolet/iTunes digital copy are also included. After some warnings and logos, the screen transitions to a standard menu. The packaging indicates that the release is region A coded. 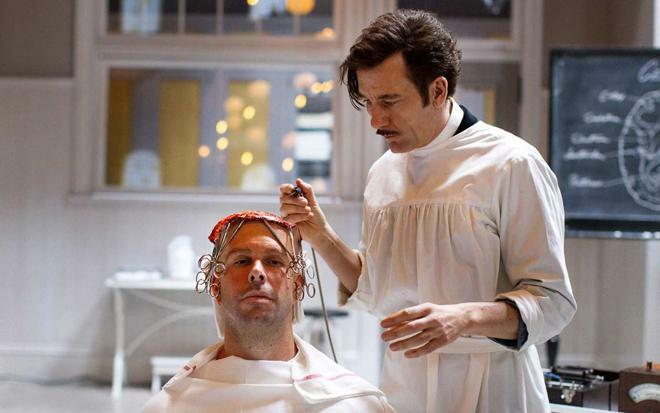 "The Knick Under Construction" – go on an exclusive walking tour of the most notable sets from The Knick with the man who envisioned them, Production Designer Howard Cummings. See the amazing detail that went into the creation of the Surgical Theater, Men's Ward, and the brand new Mt Sinai Operating theater. The show is provided with a 1080p/AVC MPEG-4 transfer in the 1.78:1 aspect ratio. Offering an extension of season one's already impressive cinematic style, the series continues to look great in HD. The digital source is crisp and free from any egregious artifacts. Clarity is nicely rendered, offering great textures in the show's impeccably designed period appropriate sets and costumes. Likewise, the series' strikingly accurate operating scenes continue to be a highlight, revealing tiny details in the makeup and prosthetics that create a startling sense of realism. Depth and dimension are all also pleasing, though the series' reliance on predominantly practical and natural lighting does lead to a comparatively soft and dim look in some sequences. Colors mostly adhere to a somewhat intentionally clinical palette, favoring cool tones and grey hues, though a warmer glow is apparent in some indoor scenes cast under electronic bulbs. Despite the somewhat dim look, overall contrast is well balanced within the show's intentional style and blacks are, for the most part, deep and well delineated. With that said, shadows in a few darker scenes do veer toward a blue tinge. 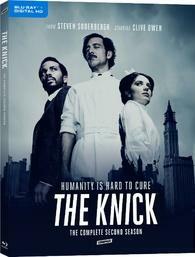 Maintaining the high standards set by the previous season, 'The Knick' once again hits Blu-ray with a very strong video presentation. The series is presented with an English DTS-HD MA 5.1 track along with several foreign language options. English SDH, English, French, Spanish, Portuguese, Norwegian, Finnish, Dutch, Danish and Swedish subtitles are also included. Though a bit modest when it comes to surround use, the mix offers a compelling extension of the show's distinct style. Speech is clear throughout, but there are a few isolated scenes where dialogue gets slightly overpowered by the score. Ambience is solid, creating an often subtle but engaging sense of atmosphere in the hospital, New York streets, and other locations. Occasional background clatter, clanking hooves, crickets, and footsteps hit the rears when appropriate, and key scenes, like those set during an extravagant ball or at a carnival carry livelier design work with natural directionality and panning effects. With that said, the track isn't always quite as enveloping as it could be, leaning toward more restrained design choices. The show's thumping score, however, continues to come through with commanding presence, offering strong separation and deep bass cues. The mix bolsters the series' visual aesthetic nicely, helping to create an engaging rhythm that relaxes and escalates along with the tempo of the narrative. HBO has included a nice assortment of supplements, including three commentaries and a collection of featurettes. All of the bonus material is presented in 1080p with DTS 2.0 or 5.1 sound. Audio Commentary - Writer Jack Amiel, and stars Andre Holland, Jeremy Bobb, Eric Johnson, Chris Sullivan, and Cara Seymour offer commentary on episode one. The group provides a fun and informative discussion, elaborating on production trivia related to sets, locations, the visual style, plot points, editing, cut material, and Soderbergh's directing choices. Episode Post-Op (HD) – Post-ops for episode one (3 min) and two (3 min) are included. These brief featurettes include cast and crew interviews discussing various aspects of the episodes' plot developments, characters, and effects. Episode Post-Op (HD) – Post-ops for episode three (4 min), four (2 min), and five (3 min) are included. Inside the Body Shop (HD) – Short featurettes for episode four (2 min) and five (2 min) are included, each focusing on how specific surgeries were accomplished on screen with disturbingly realistic detail through special effects, prosthetics, and makeup. Knicktoids (HD, 1 min) – This brief extra features a clip from the show while related trivia notes are displayed, in this case discussing Huber's Palace, which was home to exotic animals and "freak acts." Audio Commentary - Writer Jack Amiel, and stars Andre Holland, Jeremy Bobb, Michael Angarano, Eric Johnson, Chris Sullivan, and Cara Seymour offer commentary on episode six. The group provides more production trivia along with details on historical inspirations, rounding out another worthwhile track. Episode Post-Op (HD) – Post-ops for episode six (5 min), seven (2 min) and eight (4 min) are included. Knicktoids (HD, 1 min) – This brief extra features a clip from the show while related trivia notes are displayed, in this case discussing conjoined twins. Audio Commentary - Writer Jack Amiel, and stars Andre Holland, Jeremy Bobb, Michael Angarano, Eric Johnson, Chris Sullivan, and Cara Seymour offer commentary on episode ten. Once again, the group offers more production trivia, details on the plot, ideas pulled from actual history, and thoughts on Soderbergh's economical and efficient approach to directing. Likewise, the gang jokes around quite a bit, especially during the episode's most dramatic moment, lending some light laughs to an otherwise harrowing scene. Amiel also makes sure to clear up any potential ambiguity related to the season's game-changing conclusion. Episode Post-Op (HD) – Post-ops for episode nine (4 min), and ten (7 min) are included. Knicktoids (HD, 1 min) – This brief extra features a clip from the show while related trivia notes are displayed, in this case discussing contraception. Under Construction (HD, 10 min) – Here we get a walking tour of the show's elaborate sets with the series' production designer Howard Cummings. The Costume Shop (HD, 6 min) – In this featurette, costume designer Ellen Mirojnick dicuses her work on the series. Invitation to the Ball (HD, 6 min) – Here we get a look at the process of shooting the charity ball scene from episode 7. The participants discuss the location, costumes, and work put in to accomplish the scene's impressive extended shot. Behind-the-Scenes (HD, 10 min) – Five featurettes are included here, playable separately or together, touching upon specific season two topics related to addiction, feminism, eugenics, race, and corruption. With its second season, 'The Knick' once again offers a powerful examination of burgeoning scientific progress and struggling social change. Through Steven Soderbergh's singular directing style, the show continues to be one of the most cinematic series on TV. Video and audio are both strong, providing a great technical presentation. HBO has included a solid assortment of supplements, including three commentaries and several featurettes. Though not quite as gripping as the first season, this set is still highly recommended.